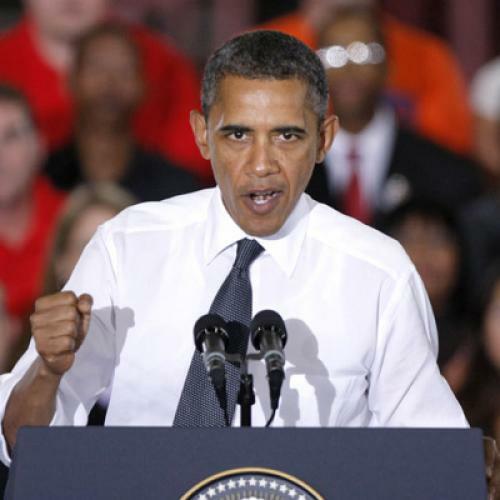 Should Barack Obama run as a populist? From a strategic perspective, the answer is yes. In fact, current polling suggests that to not do so would be political malpractice. That doesn’t mean, though, that Obama is entirely on the right track with his campaign message. There are different strands of populism, some more politically effective than others. And if Obama wants to maximize his chances at re-election, he can’t just tap into people’s anger: He needs to channel the public’s hopes. The reason that running as a populist is useful for Obama is that equal opportunity and fairness are fundamental American values, and the current workings of the economy contravene those values. People are highly aware at this point of runaway inequality in the United States, and they don’t approve of it. In a CBS News/New York Times poll last October, two-thirds thought the distribution of money and wealth in the country was unfair and should be made more even. And the public is certainly more than open to having the well-to-do pay more in taxes, for example, by applying the Buffet rule to those with incomes over a million a year. That idea received 72 percent support in an April CNN poll. So Obama is on secure ground in pressing these issues. Even if his opponents pillory him for “class warfare,” his arguments are unlikely to be rejected by voters on those grounds. Indeed these arguments speak directly to the sentiments of the median voter, always a good place to be. And by introducing these issues, Obama is doing just what an incumbent should do when running in a poor economic situation: spreading the blame for what’s wrong with the economy and, in the process, boxing your opponent into holding unpopular positions—in this case, defending the tax privileges of the rich, while opposing measures that might create jobs. This is a vast improvement over Obama’s strategy in the first nine months of 2011, when he focused on the budget deficit to the detriment of jobs and growth. That conversation was toxic for him politically and highly unproductive in policy terms. But simply adopting a populist tone and raising these admittedly popular issues may not be enough. Obama could maximize his political effectiveness by going beyond simple populism, and focusing instead on people’s fundamental economic aspirations: to get ahead in a difficult world. An “aspirational populism” would make explicit the argument that current levels of inequality are not just unfair but directly interfere with individual mobility (a person’s ability to move up the income ladder) and the country’s economic growth. There is a growing body of economic evidence for this argument (see Alan Krueger’s January speech to the Center for American Progress) and it accords well with voters’ common sense. Indeed, studies suggest that the main reason Americans are concerned about income inequality is that it impedes their economic mobility and otherwise interferes with their ability to achieve their economic goals. In this country, prosperity has never trickled down from the wealthy few. Prosperity has always come from the bottom up, from a strong and growing middle class. That’s how a generation who went to college on the GI Bill—including my grandfather—helped build the most prosperous economy that the world has ever known. That’s why a CEO like Henry Ford made a point to pay his workers enough money so that they could buy the cars that they were building. Because he understood, look, there’s no point in me having all this and then nobody can buy my cars. I’ve got to pay my workers enough so that they buy the cars, and that in turn creates more business and more prosperity for everybody. But this aspect of his populism has received less play than his general emphasis on fairness. That needs to change. He needs to double down on the argument that inequality is a drag on mobility and growth and articulate a strong aspirational program to go along with it. President Obama wants you to go to college! Or get the training you need! Or start a business! Or do whatever fits your definition of getting ahead! And here’s how we’re going to help you do it. Oh, and did I mention that my opponent’s program provides you with nothing, since it consists entirely of giving more money to those who already have a lot? This kind of aspirational populism will yield greater political dividends for Obama, as well as setting the template for future governance if he gets re-elected. Never forget that Americans are deep down an optimistic people. Last March, when the economy was in significantly worse shape than it is today, 68 percent of the public nevertheless told the Pew mobility survey that they would attain the American Dream in their lifetime, or had already attained it. It’s time for Obama to engage that optimism and put it to work in his re-election bid. Ruy Teixeira is a Senior Fellow at the Center for American Progress and editor of America’s New Swing Region: Changing Politics and Demographics in the Mountain West, to be released by Brookings Press in March.